Eucalyptus globulus is native to Australia and currently one of the most cultivated hardwood species worldwide. 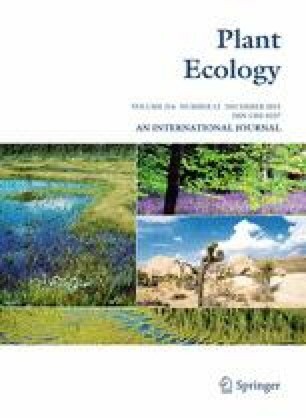 The adaptation of E. globulus to fire-prone habitats has been linked to fire as a driver for regeneration and subsequent naturalization in Mediterranean-type regions. We studied the effect of fire on capsules and encapsulated seeds of E. globulus Labill. in the canopy and on the ground, aiming to assess the role of fire in plant recruitment in Portugal. Seed shed and capsule abscission through time were compared between scorched and non-scorched branches of living trees. Additionally, we assessed the number of capsules on the ground and the viability of encapsulated seeds in burned and unburned areas of E. globulus plantations. A complementary experiment comparing the viability of seeds from different positions in the capsule (surface vs. inner) was also carried out. Our study suggests that fire promotes the dehiscence of viable seeds from capsules in the canopy, whereas it has a destructive effect on ground capsules and seeds. We obtained an average germination of 43 % in encapsulated seeds from unburned areas, suggesting that these seeds may represent a potential propagule source for plant recruitment. This study provides experimental confirmation of the reported role of fire on seedling recruitment in E. globulus and provides new insights into the potential role of ground capsules in this process. This research work was produced under the WildGum project (PTDC/AGR-FOR/2471/2012), funded by the Portuguese Foundation for Science and Technology (FCT). AA was supported by a PhD grant (SFRH/BD/76899/2011). The authors gratefully thank the Polytechnic Institute of Coimbra—School of Agriculture for the use of facilities and equipment, Brad Potts for advice on the study design, Altri Florestal, José Ventura, and Orlando Santos for assistance in data collection. We also thank Jennifer Burdon and Tania Stadler for the English revision of the manuscript and two anonymous reviewers for their valuable comments.